Watson Martin is a leading provider of professional qualifications and in-company training programmes for individuals and corporate clients. We have built an excellent reputation for combining high academic standards with practical and business focused training. Whatever stage of your career, we have the unparalleled depth of business, leadership, Human Resources and Learning & Development knowledge and experience to help you achieve your full potential. We partner with some of the UK’s leading professional institutes to offer a wide range of nationally recognised qualifications to enhance your career. 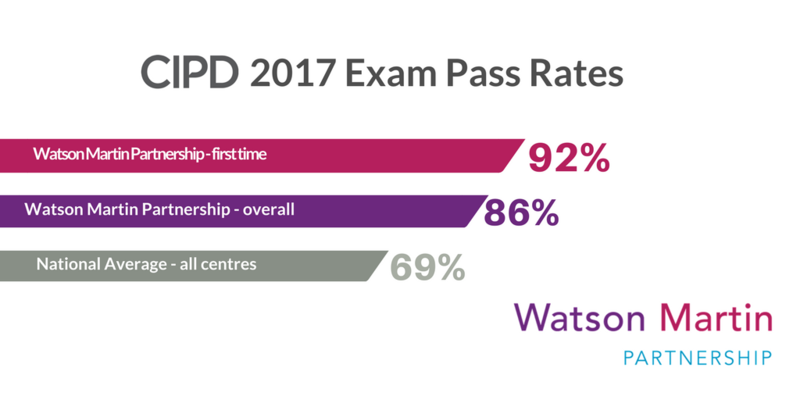 Whether you are looking for a CIPD accredited programme in HR or a CMI management programme, Watson Martin Partnership can help. Our unique blend of delivery methods that combine workshops with personal support and online learning will strengthen your knowledge and ensure you achieve professional success. We employ industry experts and our overriding philosophy is to ensure we provide high quality learning solutions, offering a flexible, personalised service. We believe these important elements add to our winning formula.